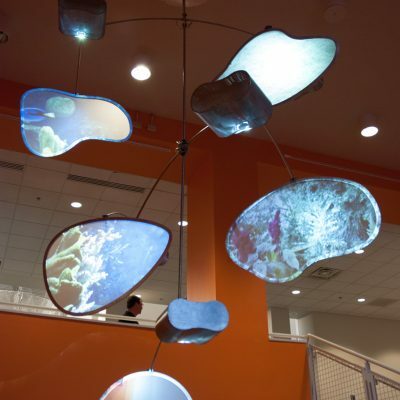 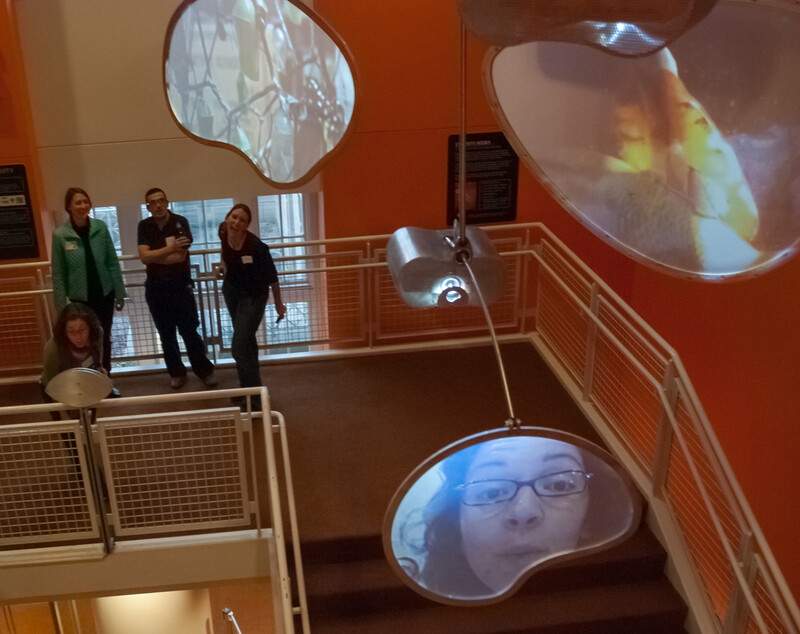 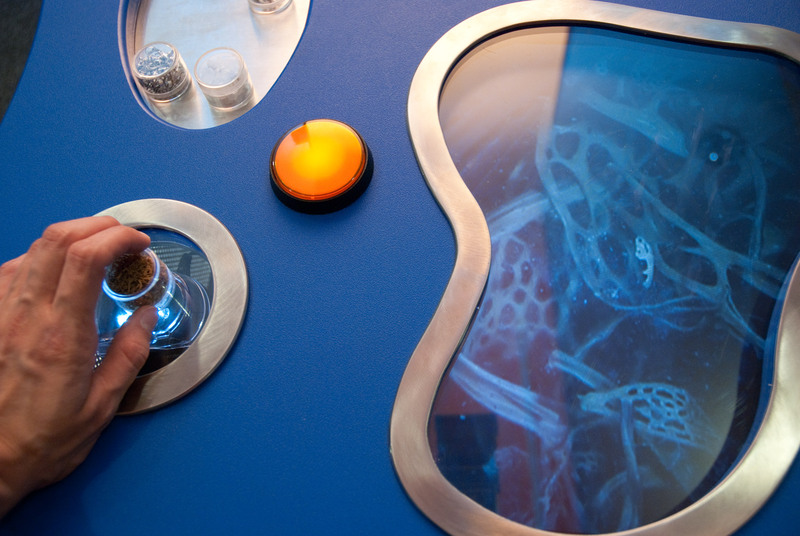 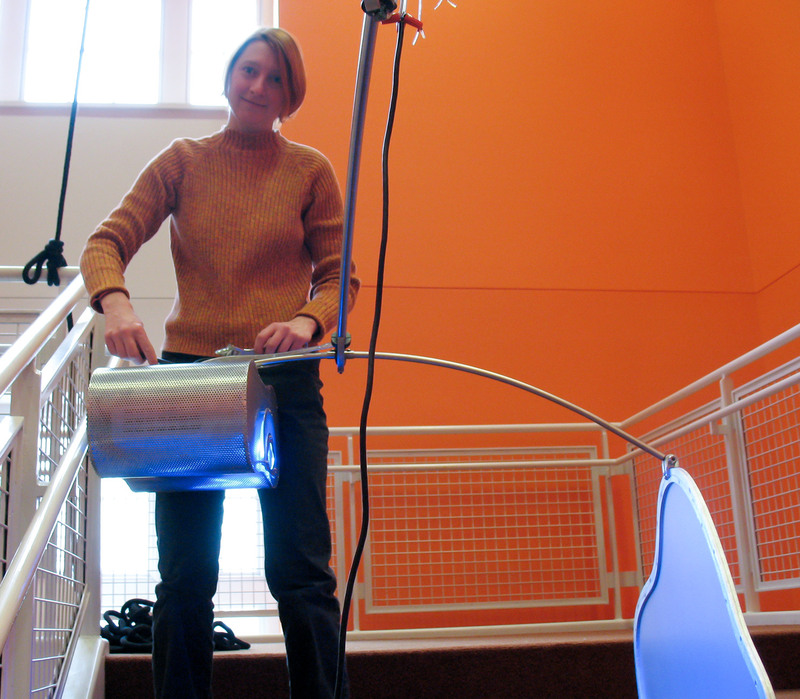 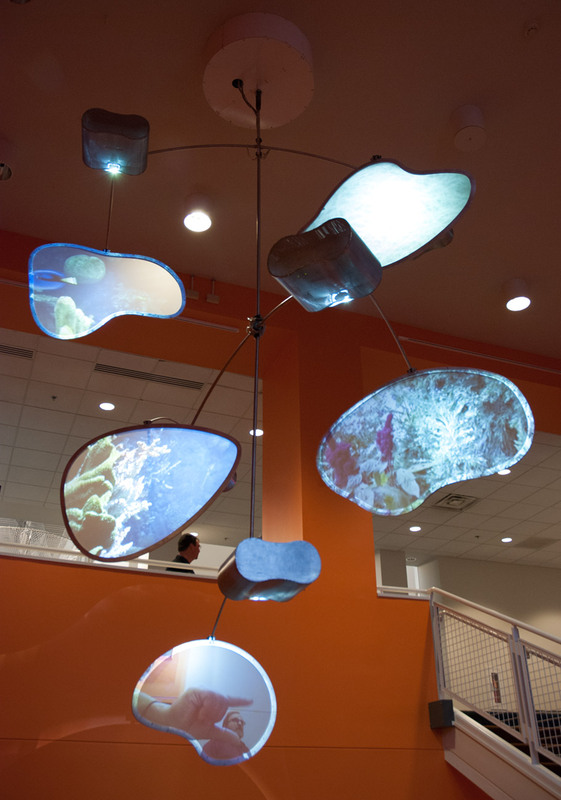 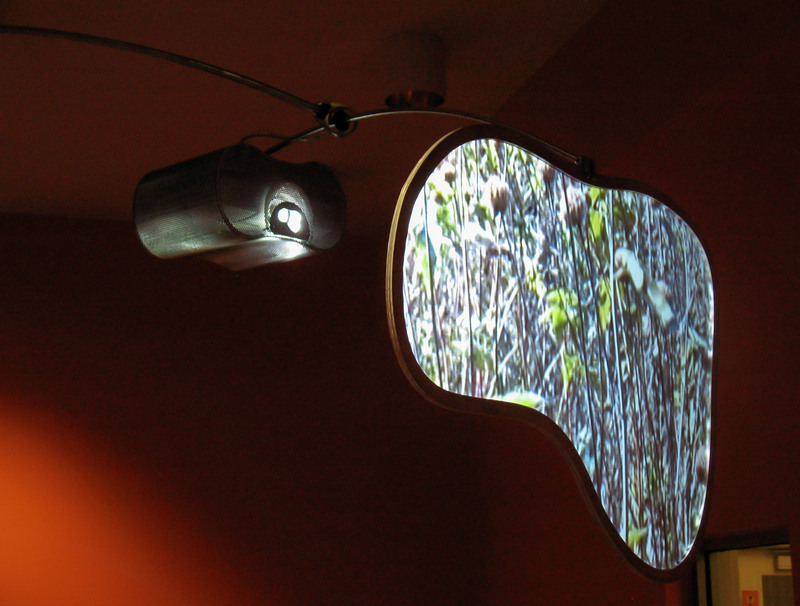 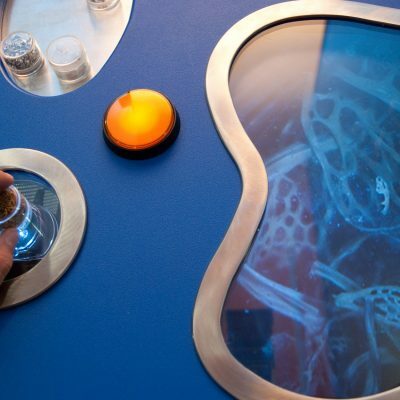 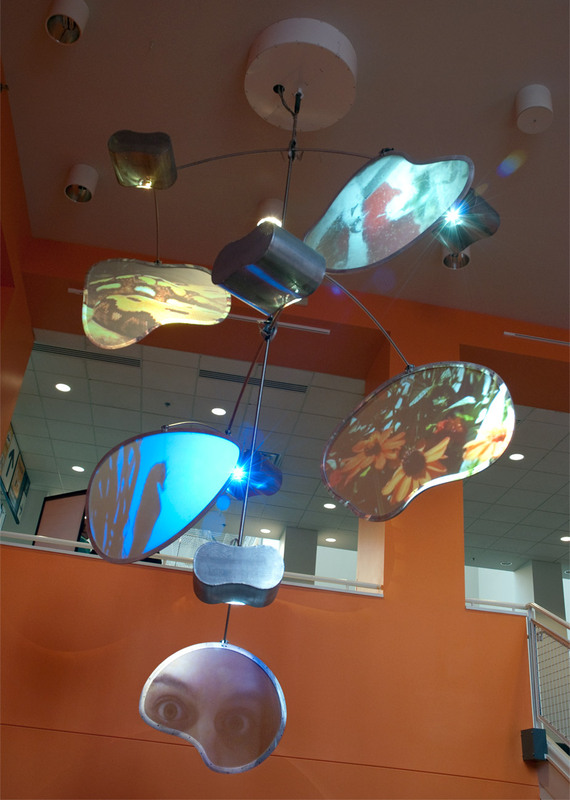 An interactive video mobile sculpture. 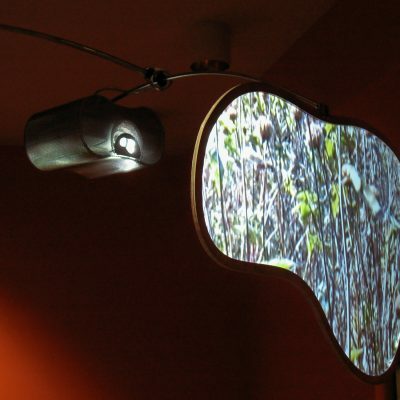 Based on the concept of the “exquisite corpse”, this project takes the form of an integrated whole, made from many parts. 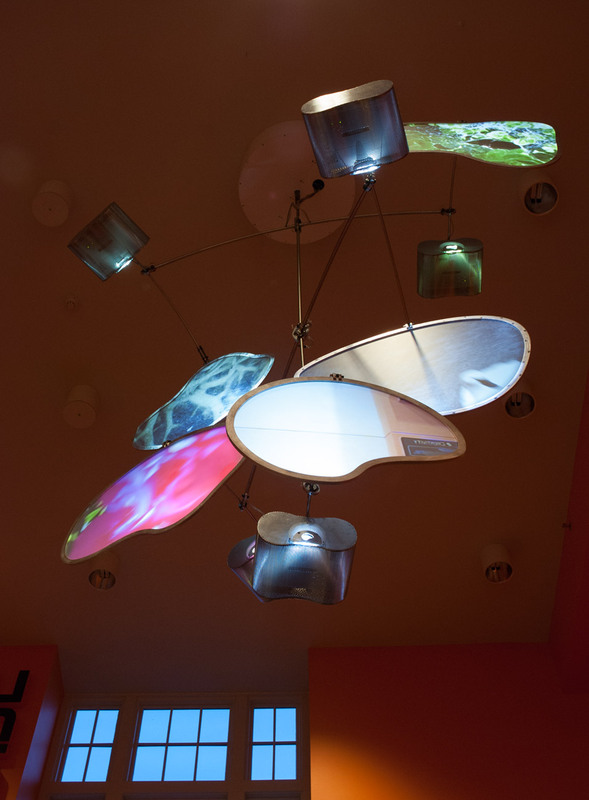 The form is a large-scale, hanging mobile of projected video, playing in multiple screens. 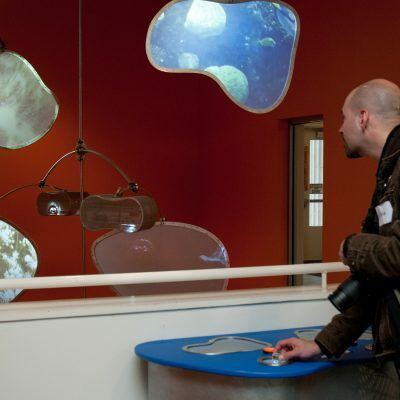 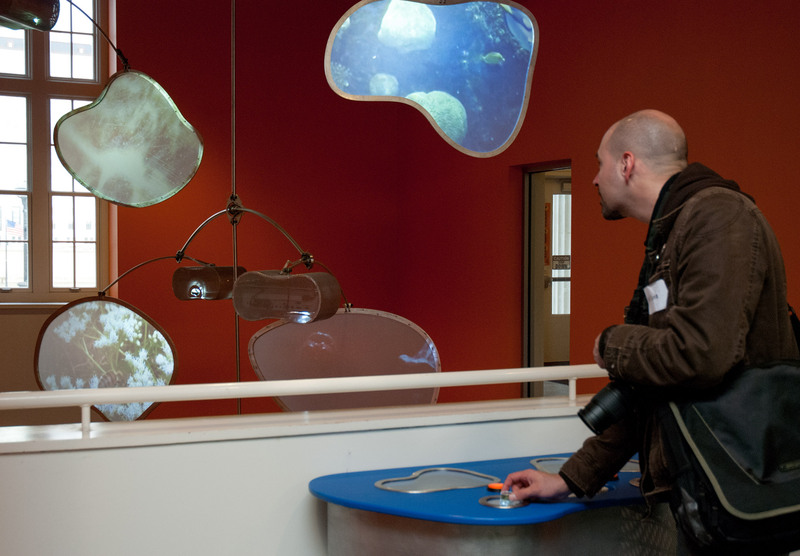 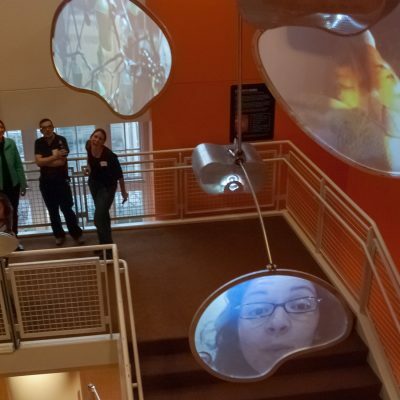 Viewers can interact via two live video feeds, which intermingle with videos captured from the natural and urban body of central Ohio. 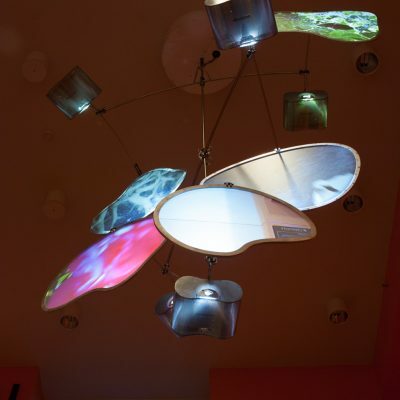 All are mixed into a dynamic and constantly changing structure designed to show the interconnections between the natural and technological aspects of our urban landscape. 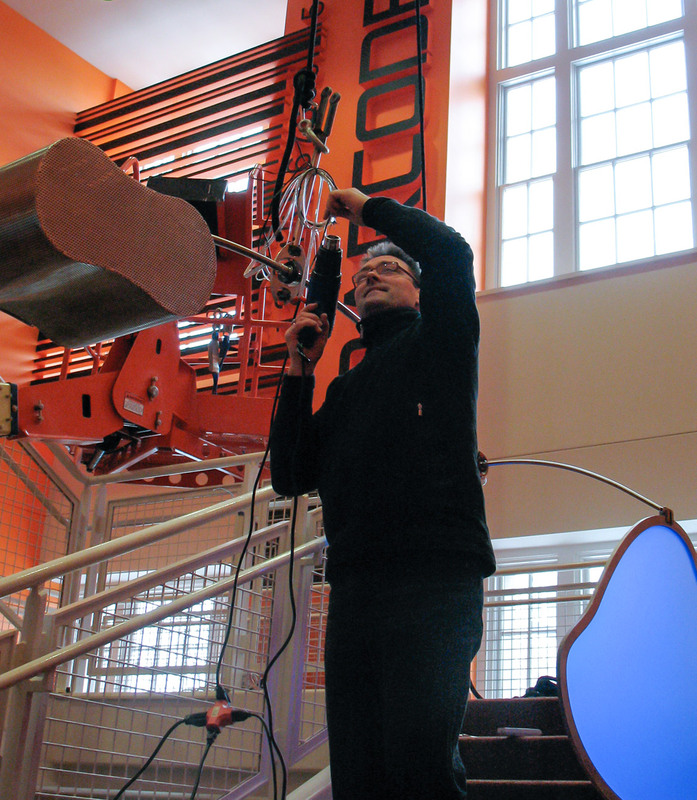 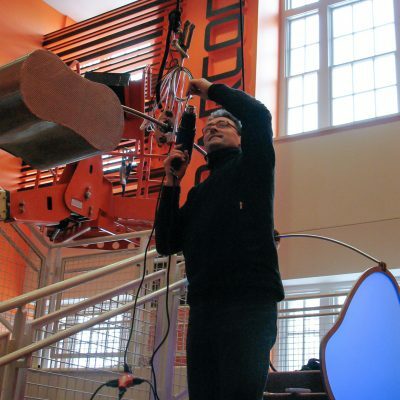 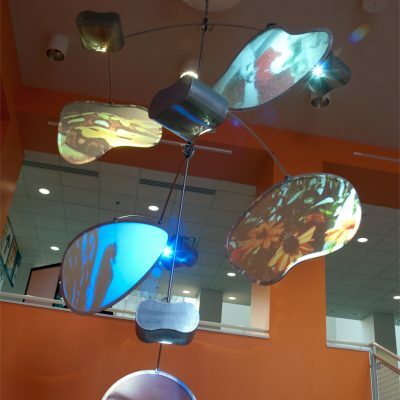 This project was a commission from COSI (Columbus Museum of Science and Industry) for their permanent collection. 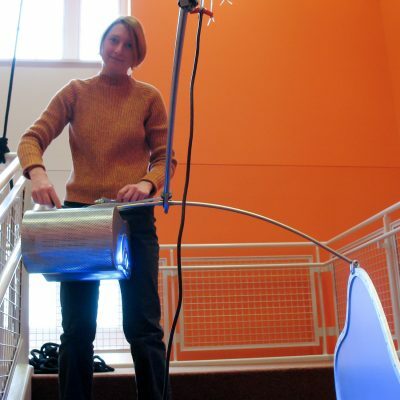 Special thanks to curator Sarah Rogers and to COSI for supporting this work.